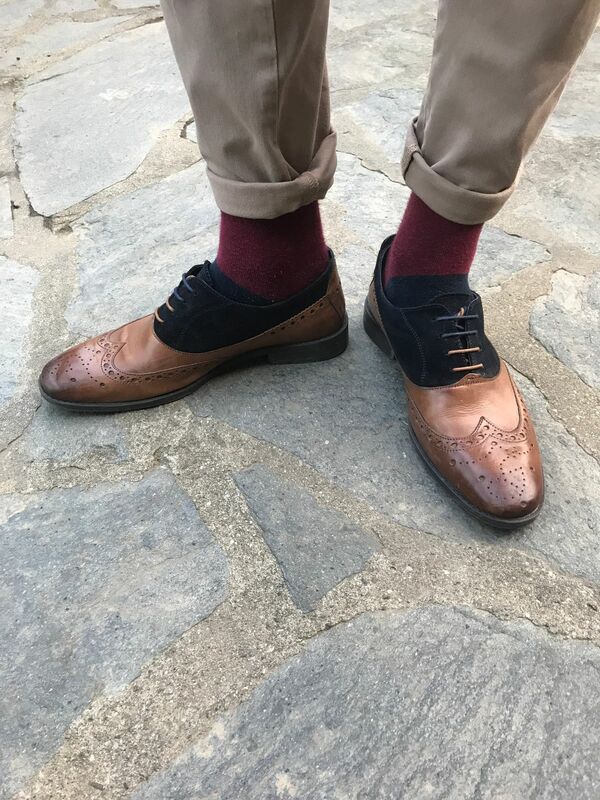 Two tone leather and suede mix brogue. Featuring navy suede teamed with burnished tan vamp and quarter with brogued toe cap detail. Famous GS stag detail is debossed to outer heel area. Leather and textile lining printed with GS stag logos and padded leather sock with GS logo embossed in gold. Durable and anti slip TPR sole branded with lots of GS detail. Smart comfortable shoes, can be worn with a suit, smart trousers or jeans! Very comfortable, high quality , beautiful details. I ordered them from Italy and the shipping was very fast. 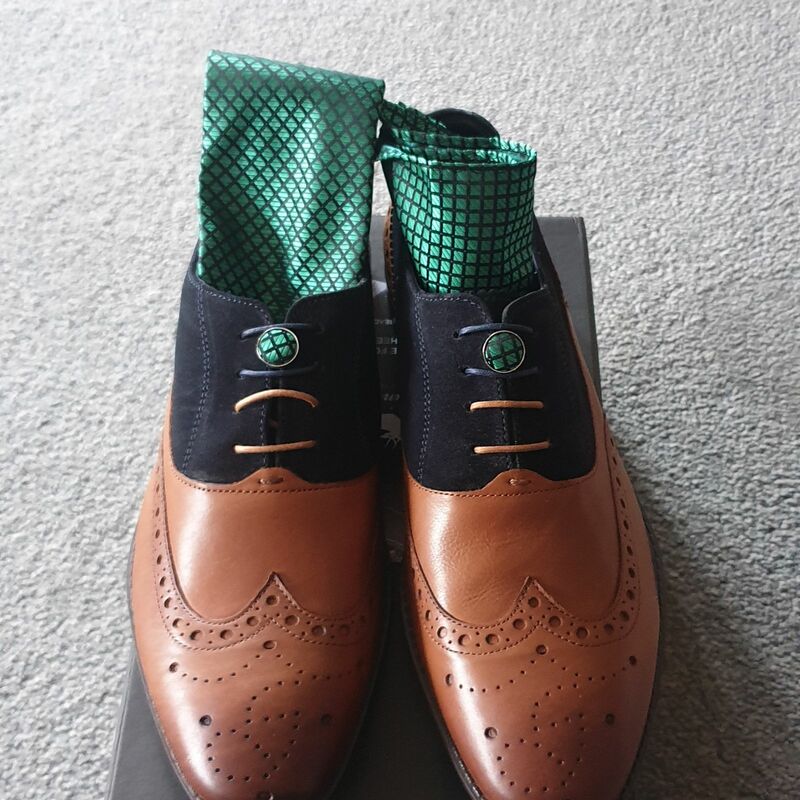 Great shoes and superb service. I’ll be back for more!